A surprising number of issues can be resolved by simply powering down the printer and the computer to reset any print jobs that may have gotten stuck or print queue errors. While you’re at it, unplug the printer from the wall for several minutes. While both machines are powered down, you should also unplug and replug the cables connected to the printer on both ends. Make sure both connections are secure, and that there are no signs of damage to the cable. If there are, replace the cables. Restart the computer and allow it to fully boot, then plug the printer into a power outlet and restart it as well. Make sure cartridges are fully snapped into place. Many issues that involve print quality such as streaking, ghost printing, and more have to do with an empty or malfunctioning ink cartridge. Remove the cartridges one by one and inspect them. It is possible your cartridge is empty, even if the printer is not alerting you. Also, check to make sure they are fully locked into place. Check to see if the printheads look clogged. If so, you can try cleaning the printheads, first running the internal process, and then cleaning by hand if necessary. 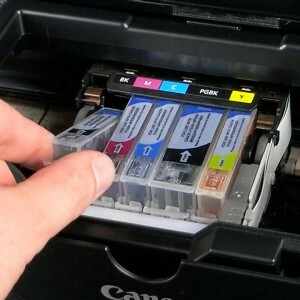 Of course, the simplest way to fix a problem with ink cartridges is simply to replace them, even if it is only temporarily, to test whether they are the cause. Another major culprit for printing problems is the paper. First, make sure you don’t have a paper jam. If the printer is stating that you have a paper jam, but you don’t see one, you may have small particles of paper stuck near the sensors. Here is a video showing how to clear a paper jam for a common HP inkjet printer model. It is also a good idea to examine the paper you are using. Is it creased? Does it appear to be sticking to other pages? You can also try fanning the paper with your finger to loosen it slightly, and remember to practice preventative paper care, such as storing paper away from moisture. Make sure the paper tray is not loaded too heavily by only loading a few pages as a test. You should also check the label to ensure that the paper you are using is designed for use with an inkjet printer. Some types of laser paper or copy paper may give poor results if used with an inkjet model. Communication errors can cause a number of printing problems, so it may be a good idea to try updating the printer driver. See Installing a Printer Driver for multiple methods of reinstalling the driver. 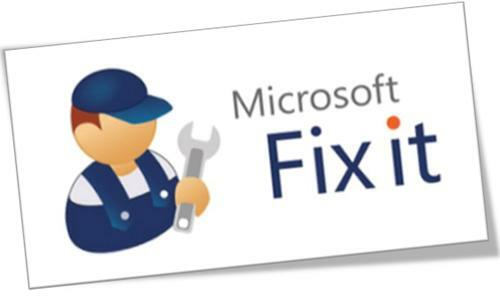 If you are using Windows, and suspect that your problem is related to the operating system, Microsoft provides a program called Microsoft Fix It that may be able to help. By installing the program and choosing to troubleshoot printer problems, you may be able to resolve issues with the print queue or unresponsive ports. If you have tried all of these steps and you are still experiencing problems with your printer, it may be time to contact the manufacturer or a repair shop for help. At the very least, you can rest easy in the knowledge that you have tried the most obvious troubleshooting steps to resolve the issue.